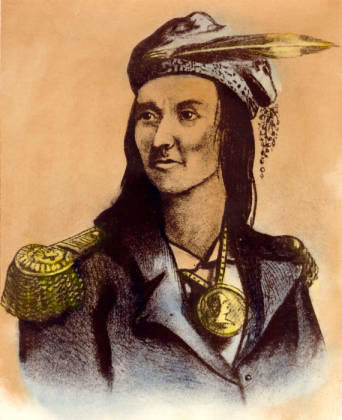 Portrait of the Shawnee military and political leader Tecumseh, ca. 1800-1813. He worked with his brother Tenskwatawa, known as ‘The Prophet,’ to unite American Indian tribes in the Northwest Territory to defend themselves against white settlers.